Budweiser and Ogilvy Argentina, invented a new sport, “the poolball”. It is a fusion of two passions almost every man share, football and pool. 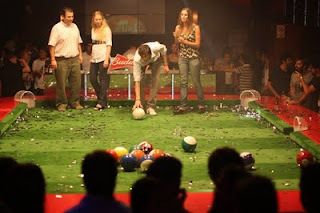 This sport is only to create awarness for Budweiser since the Bud Cup 6v6 is almost here.